The Stanley Cordless Alkaline 3 Watt Spotlight is small, lightweight, and easy-to-use making it ideal for traveling, camping and at home. The ultra-bright 3 Watt LED reaches 400 lumens and lasts for up to 13 hours. 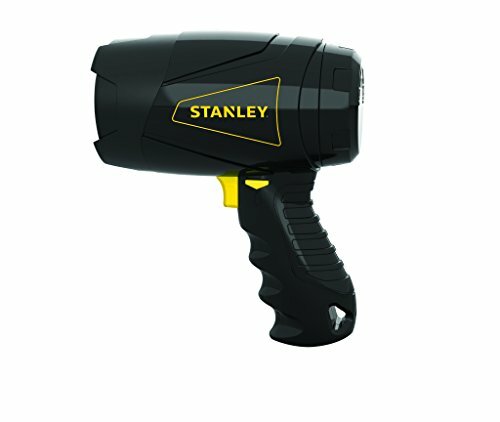 This Stanley spotlight has a heavy duty rubber bezel, 3 position trigger lock and low battery voltage LED indicator to tell you went to recharge. 4 alkaline batteries are included with this spotlight.